- Choose Size - 1/2 in. x 30 ft. 1/2 in. x 150 ft. 3/4 in. x 30 ft. 3/4 in. x 150 ft. 1 in. x 30 ft. 1 in. x 150 ft. 1-1/2 in. x 30 ft. 1-1/2 in. x 150 ft. 2 in. 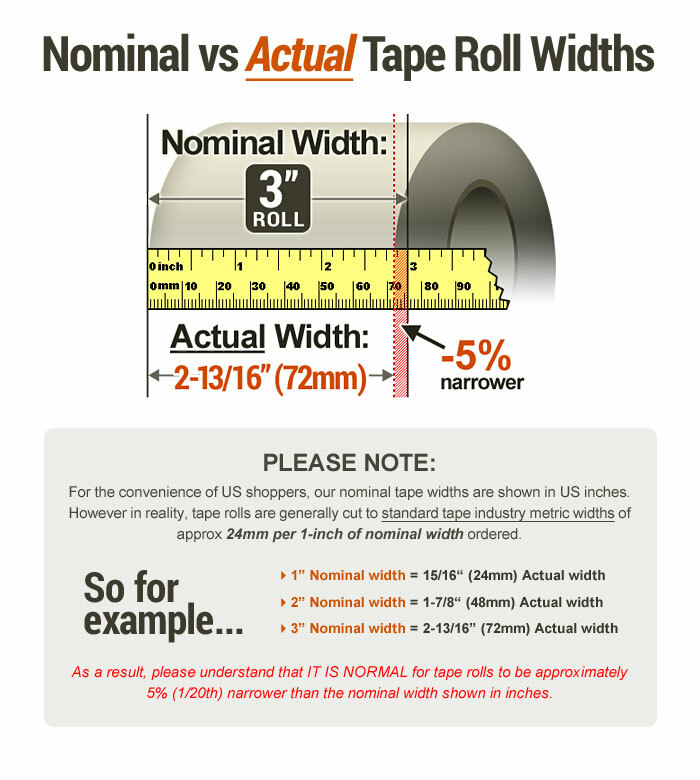 x 30 ft. 2 in. x 150 ft. 3 in. x 30 ft. 3 in. x 150 ft. 4 in. x 30 ft. 4 in. x 150 ft. Purchased Most Frequently: 1 in. 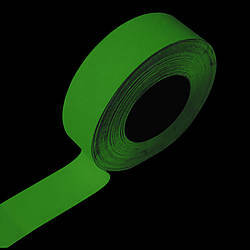 x 30 ft. (Luminescent Lime Green) | See Pricing Table below for additional options. 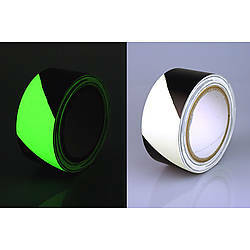 JVCC GLW-24 Professional Glow in the Dark Tape is a flexible polyester laminated photoluminescent film tape with a permanent adhesive on one side. 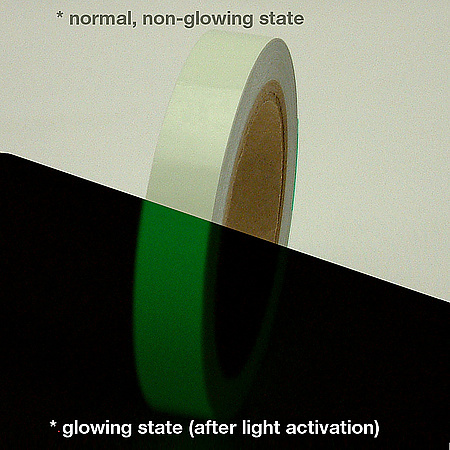 The photoluminescent pigments absorb and store energy from normal, ambient light. In sudden darkness the tape is immediately visible. 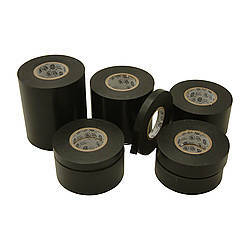 The tape provides a non-electric safety marking system that easily and inexpensively affixes to walls, handrails, columns, around door frames, and along stairways and baseboards (provides visibility during an emergency). It is wound on a liner for easy handling. Also used for identification of critical equipment controls, exit and directional signage (especially for escape routes and stairways), light switch covers, labels, decals, novelties, sporting goods, trims, and special effects. 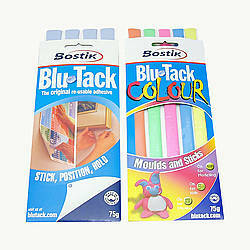 Used in hotels, hospitals, schools, public facilities, office buildings and manufacturing plants. 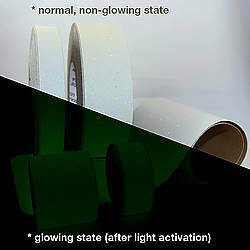 JVCC GLW-24 Professional Glow Tape is fully charged within 30 minutes after exposure to either artificial or natural light and glows brightest the first 15 to 30 minutes after activation has ceased. It initially glows approximately twice as bright as the JVCC GLW 6-hour product. 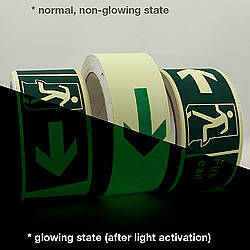 The tape will remain visible in a totally dark room to the night-adjusted eye for up to 24 hours. Allow approximately 1-2 minutes for your eyes to adjust to the darkness (night-adjusted eye). 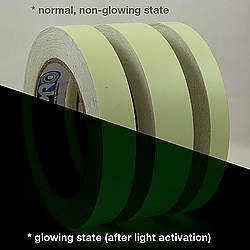 Although this tape has a highly visible glow, it would not compare in brightness to a standard flashlight. JVCC GLW-24 tape is rechargeable. 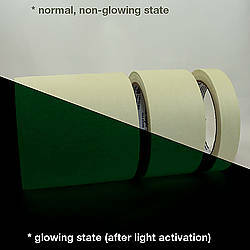 In its uncharged state the tape has a white/cream color and when glowing the tape has a luminescent lime green color. 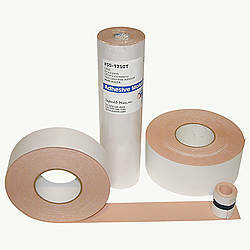 The tape has excellent UV stability and does not show significant degradation when used outdoors. 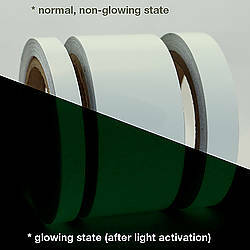 The luminescent system used is non-radioactive and non-toxic. 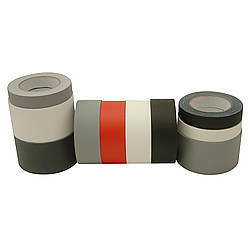 This ultra-premium tape is offset, screen, flexo, and thermo transfer printable. The adhesive has a 24 hour dwell time. 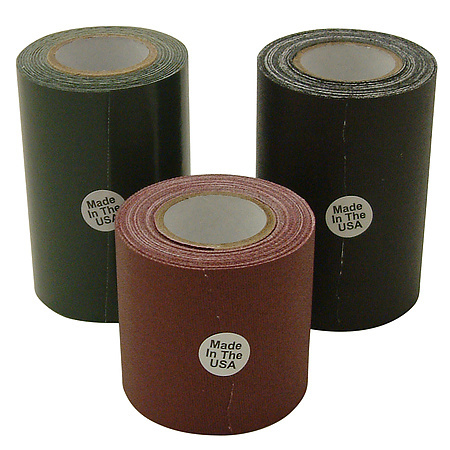 Made in the U.S.
Thickness: 20 mils (carrier, adhesive, liner) 15 mils (carrier, adhesive) 5 mils (liner) What is mil thickness? 1-1/2 in. x 30 ft.